Below are five photographs of my 3D cardboard sculptures. 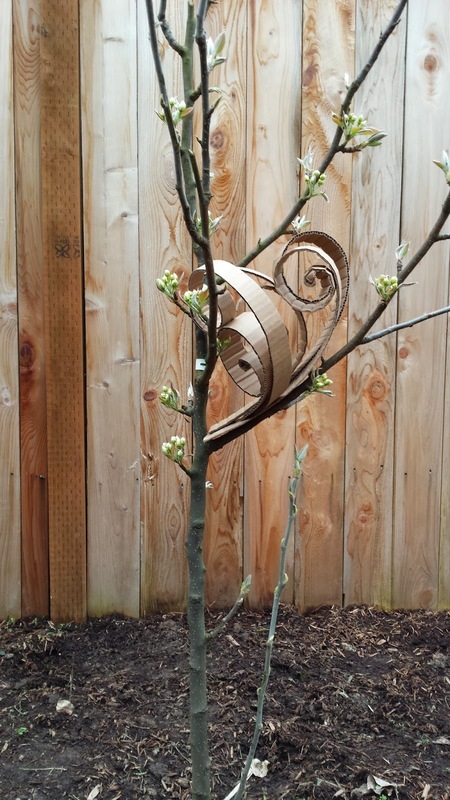 These sculptures are made up of strips of cardboard that I cut with a box knife. I then tightly curl the strips and use a hot glue gun to arrange the strips into patterns and sculptures. I have provided names and descriptions for each piece. 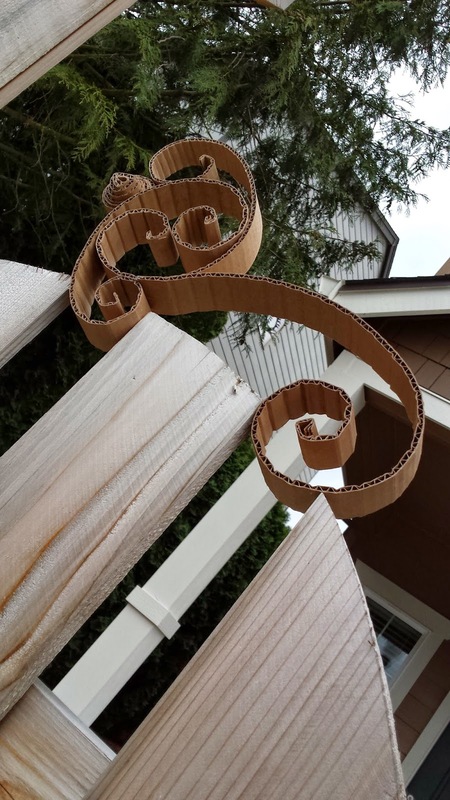 Made of six strips of cardboard. 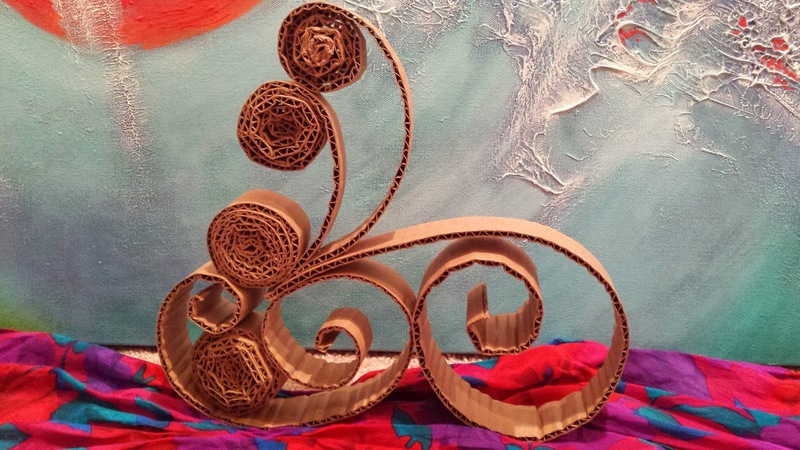 Made of four strips of cardboard. 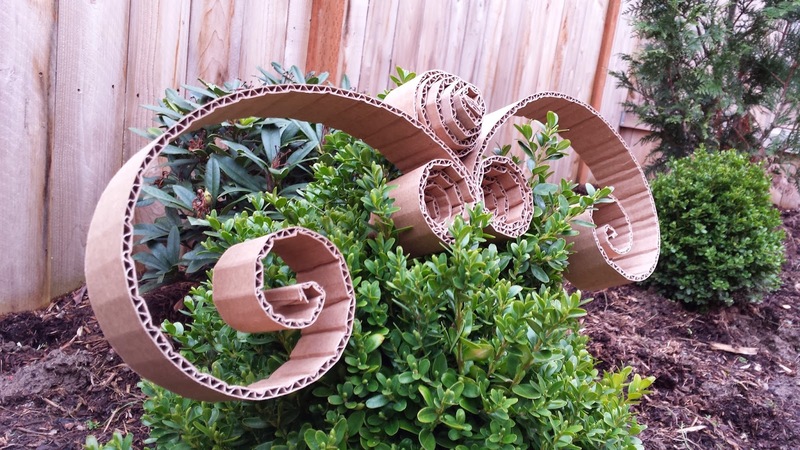 Made from six strips of cardboard. 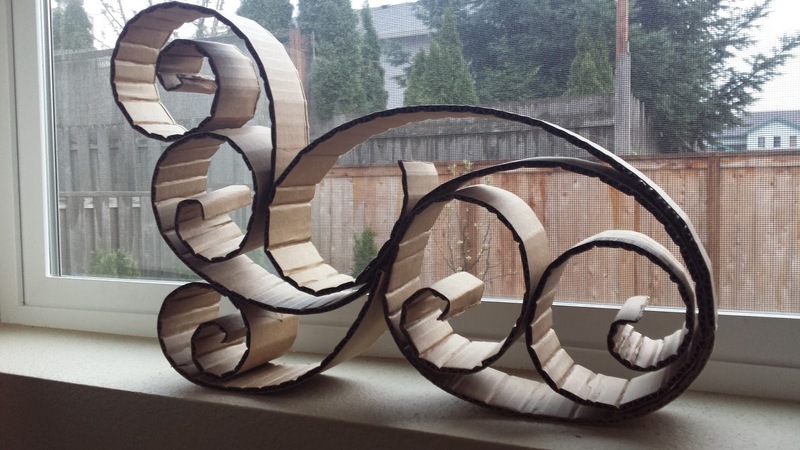 Made from five strips of cardboard. Liked them a lot at the presentation at the library, but really like how you arranged them here.